A number of car companies call the convertible versions of their normal offerings "spider," though there definitely aren't any spiders here. Nope, no way. 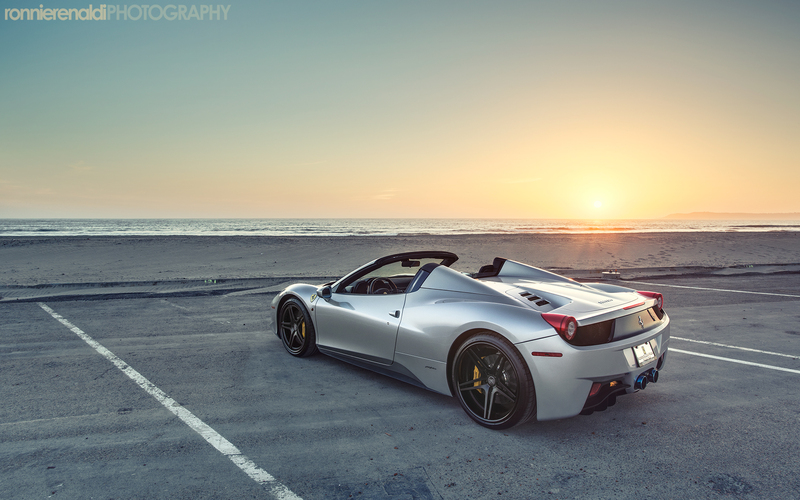 The Ferrari 458 just looks too good. The proportions of a convertible don't always sit so well. Folding a roof into the car itself almost never makes for good structural design, as cars are built for driving on roads and holding people and absorbing bumps and containing a steering wheel, not for containing a big ridiculous contraption. 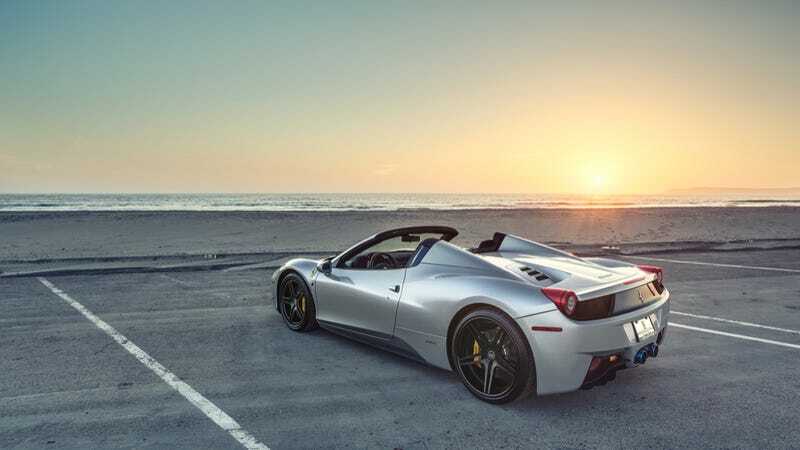 But the 458's aluminum roof folds so intricately, like the mechanics of a Swiss watch, that it folds into the deck as if it were never there in the first place. Plus, like all folding metal roofs, it looks pretty neat while it's coming down. Photo credit Ronnie Renaldi. Used with permission, and you can also find his stuff on Facebook. Click here for a big desktop version. EDIT: As a good lot of you have pointed out, we already posted this picture earlier this week. In an offering of infinite penance, I submit this picture of a Jaguar XFR-S which I rather like, courtesy of Jaguar. You can find a big version here.